Availability: No Stock - More Available Soon. UK - Parcelforce express24 +£12.88 Rep. Ireland - P/force Globalvalue +£21.25 Collect from Maidstone, Kent area. THE BEST VALUE BAIT PUMP MANUFACTURED IN THE UK, NO GIMMICKY ADD ONS! 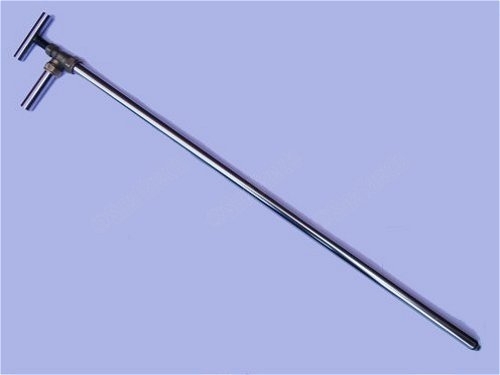 The stock item for this pump has a total length of 1 metre. Total weight less than 1kg! Similar to the bore, size and length used to obtain lugworm by professional lug / bait pumpers. Spare parts are available - See Related Products. 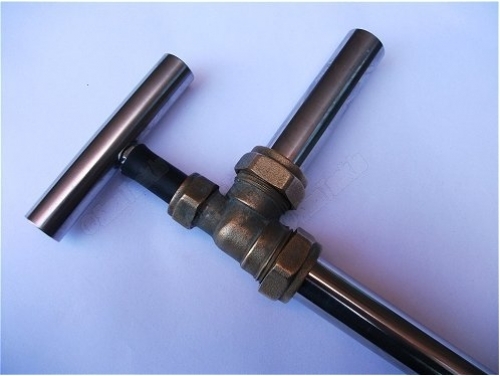 Sidehandle supplied separate in package due to size/postage restrictions. Remainder of pump is fully assembled. Operating Manual supplied within package! The standard pump length of 1 metre is suitable for the majority of people. Shorter people will not be able to pull the pump handle as high as taller people, but no additional height is achieved by using a shorter pump. Hence we have discontinued custom lengths. Item is currently available to the United Kingdom and Republic of Ireland only. 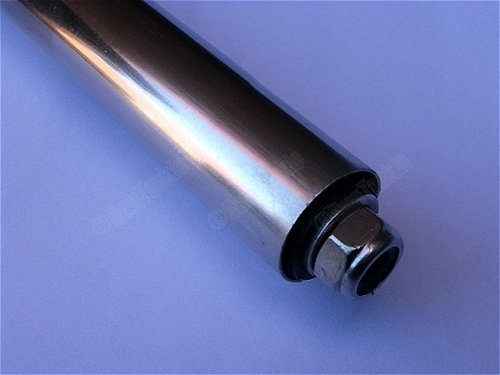 The stock length pump is usually shipped within 1 working day! 1. Collection free of shipping charges from the Maidstone, Kent area. We will contact you to arrange a convenient time and collection point after we receive confirmation of payment. 3. Republic of Ireland - Parcelforce Globalvalue. Delivery time: aim of 3 working days from shipping - Insured up to £100 - No Tracking. 2 to 3 are at a cost per item as in Options (Item will be sent to the payment address as entered at checkout!). Select the preferred Option from above. For spares available: see Related Products. Pump is guaranteed for 1 year excluding unauthorised tampering, damage, wear/tear or your inability to operate the item. Your statutory rights still apply.